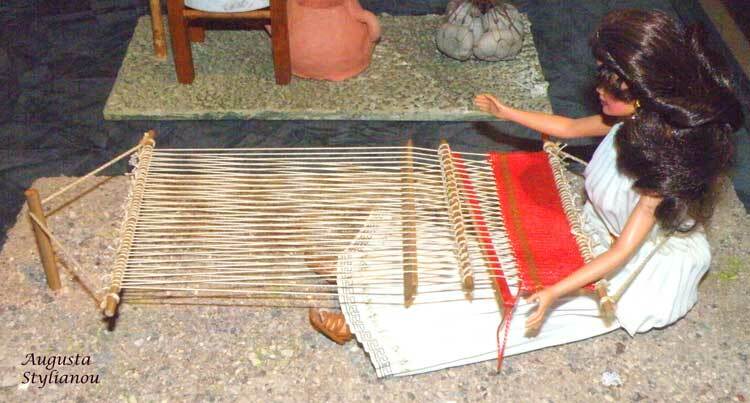 Horizontal cloth weaving arrangement of ancient civilisations which was probably used in ancient Greece as well. The seated weaver - woman stretched the "warps", wrapped the one cloth-roller arounder her waist and the other one on a pole in front og her. The "warps" change was completed with the help of the "heddles" and the "distance keeper" (thin board).